Matt Bomer is a beautiful man, and in most his roles, he leans into it. As a dashing criminal on TV’s White Collar, a glamorous F. Scott Fitzgerald creation in The Last Tycoon, or the hippie-minded, muscle-rippled Ken in the Magic Mike films, Bomer draws you in with his astoundingly beautiful face and then lays on the charm. And honestly, no one is complaining about this! So it’s unprecedented, and inherently interesting, to watch Bomer go all the way against that type in Walking Out. 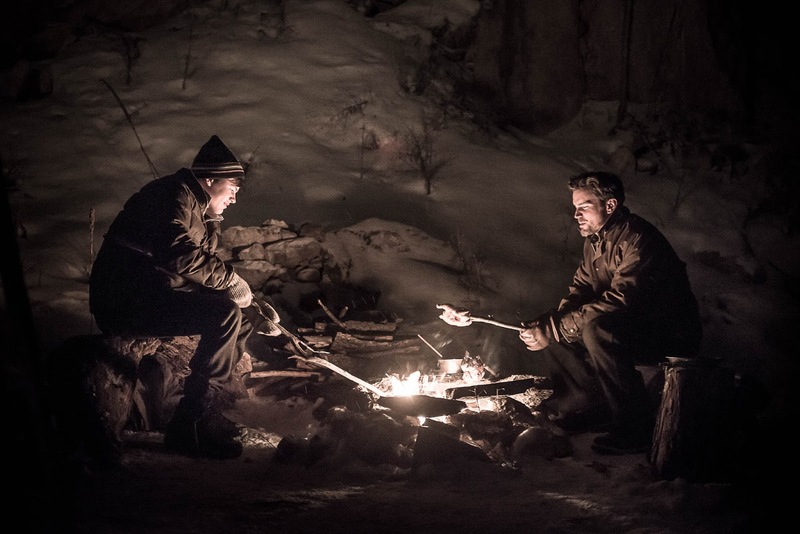 As a gruff Montanan outdoorsman pushing his teenage son to embrace and respect the natural world, Bomer gets bearded, raspy-voiced, and terse, intolerant of what he perceives to be his son’s weaknesses. It’s a respectable effort from Bomer, but the film’s plot is too thin of an idea to sustain a full-length narrative, and the character development isn’t quite strong enough, either. 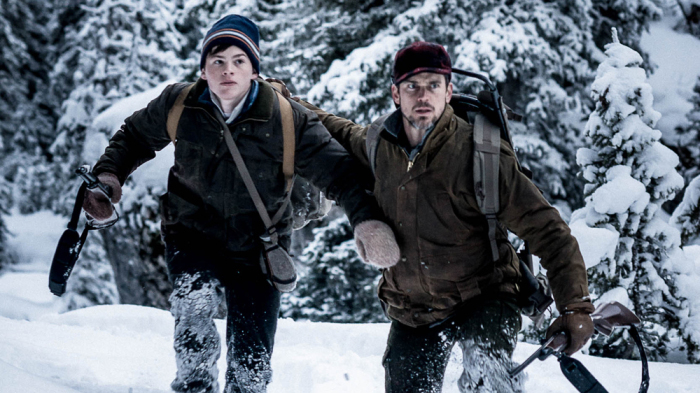 The movie written and directed by Alex and Andrew Smith (who worked off a short story by David Quammen) and picked up by IFC Films focuses on three male generations of one family: 14-year-old David (Josh Wiggins), who visits his father Cal (Matt Bomer), every summer in Montana, where Cal was raised by his own father Clyde (Bill Pullman). Cal and David’s mother split up when David was younger, and although he lives in Texas with her most of the year, when school lets out David heads north. But the relationship between the two is fractured and uneasy from the beginning: Cal is late picking up David and immediately bristles at the boy’s reliance on his cellphone; David is uncomfortable sharing a bed with his father and frustrated with his immediate suggestion—well, dictum, really—that they go hunting. The experience “won’t be like one of your asinine games,” Cal says, and with his constantly brusque dismissiveness, you can understand why David looks like every second they spend together is torture. 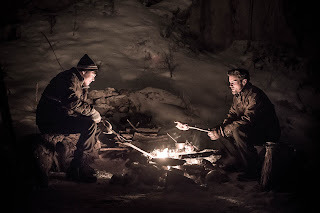 But they are still father and son, and when Cal tells David that he has been tracking a moose up a mountain and that they are going to hunt it together, there’s a glimmer of interest from David—this is the chance to impress his father, to try and understand his deep connection to the land, to try and feel it himself. And so the two go on this journey together, one that merges the dangers and risks of the present day (other hunters killing for sport, grizzly bears roaming the mountainside) with Cal’s memories of the past and his relationship with Clyde. “What do you know, David?” Cal asks his son, and the query is a chance for the teenager to finally learn about his father and the land he loves. All in all, Walking Out is a pretty typical boy-becomes-man story merged with another pretty typical nature-is-majestic story. The film was shot in location in Montana, and the scenery is gorgeous (lush forests of evergreens, snowy mountain ranges, clear blue skies) but brutal, with constantly falling snow and harshly cold temperatures. You buy that Bomer and Wiggins are roughing it out there, even if some of the animals (a few grizzly bears and a deer) don’t look particularly realistic—how they move seems more like CGI than reality. If you can believe the outdoors element of Walking Out, though, then you’re one step closer to grasping the lessons Cal is trying to teach David about taking only what you need, about considering the lives of other living beings, and about respecting things you don’t understand instead of destroying them. Those are the lessons we see Clyde teaching Cal, and how they pass onto David fits that whole patriarchal-legacy thing the film is going for. But what Walking Out suffers from is a runtime that stretches a bare-bones narrative past its limits, and from character development that doesn’t go far enough. There are hints of what crumbled the relationship between Cal and David’s mother, but not enough detail. There is barely anything said about David’s life back in Texas, aside from a joke about brisket, and Cal himself only gets a few lines of dialogue about his own individual personality separate from his father’s. The script focuses so much on these interfamilial, masculine dynamics that it stumbles when it positions its characters to stand on their own. Nevertheless, Walking Out has an effect: Bomer is doing something different and he and Wiggins have believable father-son chemistry; the setting is gorgeous and desolate; and the hero’s journey narrative is comfortingly familiar. You’ve seen practically every element of Walking Out before, but it’ll stick with you for a little while.